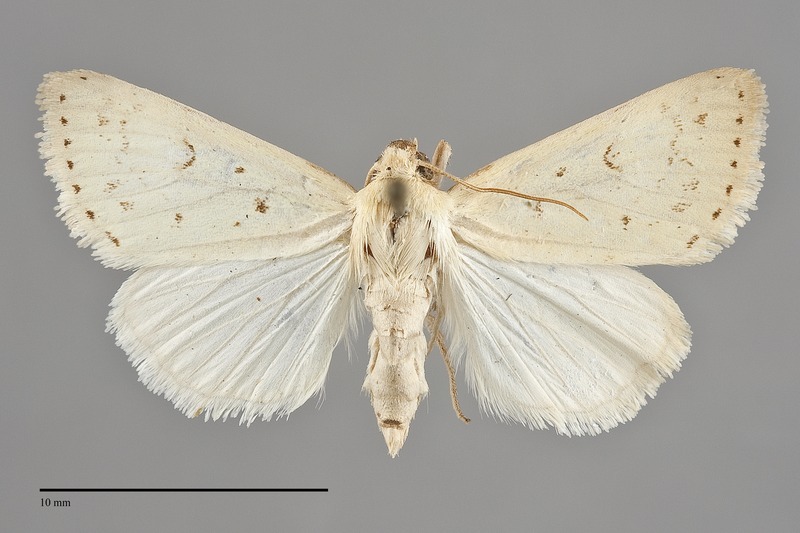 Schinia luxa is a small (FW length 11 - 14 mm) flower moth with a pale yellow forewing marked with a few gray spots and a white hindwing that flies in arid desert of southern Idaho. The forewing color is even, including the fringe. The lines and spots are similar gray. The lines are reduced to a few gray dots, typically strongest at the fold on the antemedial line, opposite the cell and in the fold on the postmedial line, and near the apex at the subterminal line. The terminal lins is usually a complete row of spots between the veins. The orbicular spot is a small line, while the reniform spot is a sideways "V." The claviform spot is absent. The hindwing is pure white lacking all markings. The head and thorax are yellow. The male antenna is filiform. No other species in the Northwest are similarly marked. The exact habitat of S. luxa is unknown. However, it likely occurs in xeric steppe based on its habitat further south. 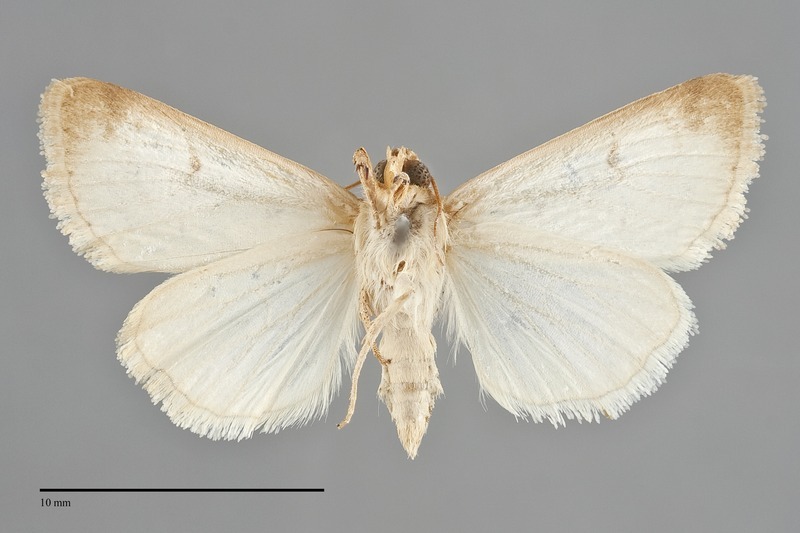 This species has been reported from southern Idaho in Hardwick (1996). Schinia luxa is predominantly a species of the Southwest and is particularly common in southeastern Arizona. The range extends from southern California to western Texas north to Idaho. This species flies in late summer in most of its range. The flight period in the Northwest is unknown.